Tom Griffiths is a Professor of History in the Research School of Social Sciences at the Australian National University, Canberra, and Director of the Centre for Environmental History at ANU. His research, writing and teaching are in the fields of Australian social, cultural and environmental history, the comparative environmental history of settler societies, the writing of non-fiction, and the history of Antarctica. Tom’s books and essays have won prizes in history, science, literature, politics and journalism. 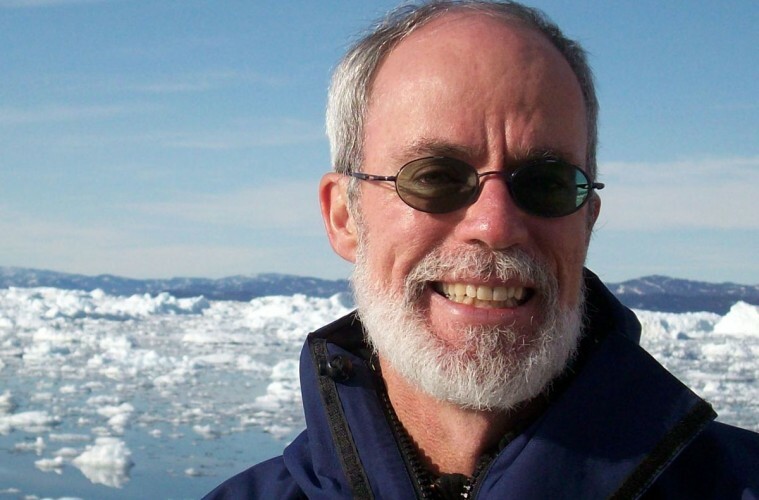 His most recent monograph, Slicing the Silence: Voyaging to Antarctica (UNSW Press and Harvard University Press, 2007), won the Queensland and NSW Premiers’ awards for Non-Fiction and was the joint winner of the Prime Minister’s Prize for Australian History in 2008. ‘Weather and mind games‘, Griffith REVIEW, no. 41, July 2013. ‘The language of catastrophe‘, Griffith REVIEW, no. 35, January 2012. ‘A humanist on thin ice: Science and Humanities, People and Climate Change’, Griffith REVIEW, no. 29, August 2010. ‘“People must always be given hope’: Dedication to Eric Rolls’, Island, no. 120, Autumn 2010. ‘Alice Duncan-Kemp (Pinningarra) and the history of the frontier’, in Libby Robin, Chris Dickman and Mandy Martin (eds) Desert Channels: The Impusle to Conserve, CSIRO Publishing, Melbourne, 2010, pp. 24-43. ‘We have still not lived long enough’, Inside Story, 16 February 2009. ‘“An unnatural disaster”? Remembering and forgetting bushfire’. History Australia 6 (2): pp. 35.1 to 35.7. ‘History and the Creative Imagination’ [The Inaugural Greg Dening Lecture], History Australia 6 (2). ‘The cultural challenge of Antarctica’, The Stephen Murray-Smith Memorial Lecture 2007 at the State Library of Victoria, La Trobe Journal, Melbourne. ‘Discovering the continent of ice: The place of Antarctica in world history’, [Introductory essay], 2007 Yearbook Australia, Australian Bureau of Statistics, Canberra, pp. 14-24. ‘Truth and fiction: Judith Wright as historian’, La Trobe University Essay, Australian Book Review, no. 283, August 2006, pp. 25-30. (with Tim Sherratt) ‘What if the northern rivers had been turned inland to irrigate Australia’s “Dead Heart”?’, in Sean Scalmer and Stuart Macintyre (ed.) What Ifs in Australian History, Melbourne University Publishing, Melbourne 2006. (with Libby Robin) ‘Environmental History in Australasia’, Environment and History, 10 (2004): 439-74. ‘Playing the Professional Australian’, Meanjin, vol. 63, no. 3, 2004, pp. 166-174. ‘The Man from Snowy River’, Thesis Eleven, no. 74, August 2003, pp. 7-20. ‘The Culture of Nature and the Nature of Culture’, in Hsu-Ming Teo and Richard White (eds), Cultural History in Australia, UNSW Press, Sydney, pp. 67-80. ‘Light Green, Dark Green: Blainey’s environmentalism’, in D Gare, T Stannage, S Macintyre and G Bolton (ed.) The Fuss That Never Ended: The Life and Work of Geoffrey Blainey, Melbourne University Press, 2002, pp. 53-66. ‘How many trees make a forest? Cultural debates about vegetation change in Australia’, Australian Journal of Botany, CSIRO Publishing, vol. 50, no. 4, 2002, pp. 375-389. ‘The language of conflict’, in Bain Attwood and Stephen Foster (ed.) Frontier Conflict: The Australian Experience, National Museum of Australia, Canberra, pp. 135-149. ‘One hundred years of environmental crisis’, Rangeland Journal, vol 23 (1), 2001, pp. 5-14. ‘Cooper Clay’, in Mandy Martin, Jane Carruthers, Guy Fitzhardinge, Tom Griffiths and Peter Haynes, Inflows: The Channel Country, Mandy Martin/Goanna Print, 2001. ‘Deep Time and Australian History’, History Today (UK), November 2001, pp. 2-7. ‘Going with the flow: Flying Fox and Drifting Sand’, in Marion Halligan (ed.) Storykeepers, Duffy & Snellgrove, Sydney, 2001, pp. 145-174. ‘Gallery of Life’, Meanjin, November 2001, vol. 60, no. 4, pp. 85-92. ‘Social History and Deep Time’, Public History Review, vol. 8, 2000, pp. 8-26. ‘The Poetics and Practicalities of Writing’, in Ann Curthoys and Ann McGrath (eds), How to Write History, Monash Publications in History, Melbourne, 2000, pp. 1-13. ‘Discovering Hancock: The Journey to Monaro’, Journal of Australian Studies, no. 62, 1999, pp. 171-181, 257-59.